​After being traded three times in a matter of days, sharp-shooting guard Nik Stauskas has finally ​signed with the Cleveland Cavaliers, the first team that actually acquired him. Stauskas has never lived up to the expectations given to a player who was selected eighth overall by the Sacramento Kings in the 2014 draft, but when he's been given the opportunity, he's proven to be a weapon from behind the arc. 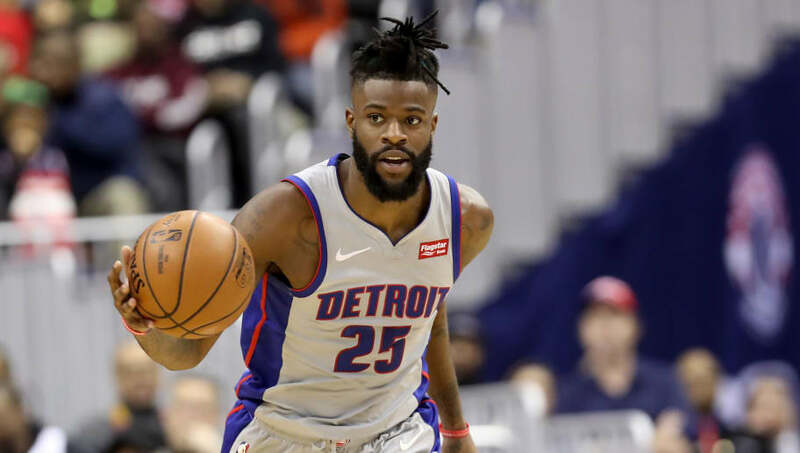 That's why the Los Angeles Lakers should've stayed away from using trade assets to acquire ​Reggie Bullock from the Detroit Pistons. There's no denying that at this point, Bullock is the better and more reliable player. Before coming to LA, Bullock was averaging 12.1 points and shooting 38.8 percent from behind the arc, as opposed to just 6.1 points on 34.4 percent from three by Stauskas. However, do the Lakers remember what Stauskas did to them early in the season when he scored 24 points while shooting 5-for-8 from behind the arc? The Lakers need more guys who can knock down the three, and they had a great opportunity to sign a shooter for little money. Instead, they used some small trade assets to acquire a decent bench player in Bullock.